Announcing a special "12 Days of Christmas Extravaganza." I am so pleased to announce I am teaming up with two fellow bloggers, Pawing Through Books and Books and Barks to present the very exciting event. 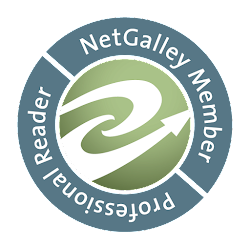 There will be new authors featured each day (a new one on each blog each day) and lots of fun giveaways. Each author will be doing a guest post or interview and many are donating something for a giveaway. We will also have a grand prize at the end to show our appreciation for all of those that will have joined us for the event. Stay tuned for more info and to see what authors will be joining us for the event. I hope to see some of you there. 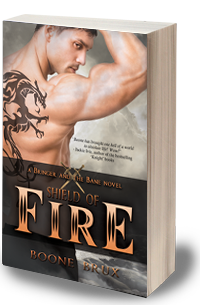 I am waiting on Shield of Fire by Alaskan author Boone Brux! Sounds so exciting doesn't it? I can't wait! What are you waiting on? Aww, you're so sweet. I hope you like Shield of Fire. Just a note, the release date was pushed back to Dec. 13 last week. Thanks for mentioning Shield of Fire. Many of us are anxiously awaiting the release of this great story! Bouncing in my seat excited!! Just can hardly wait! Thanks for finding the fabulous Boone. whoa,that cover is Hot as its title. please hit me up and let me know if you have received your novel,Yesterday Lies. Thank you all for stopping by. I lost services in the snowy conditions here. WOW. Hi Boone - how is the snow up by you? Oh no! I have to wait a bit longer. I'm sure it will be worth it. Thanks for all the panting over my cover:)He is rather yummy. Hope everybody is dug out and melted from the crazy heat wave after all that snow. And thanks again for all the good wishes.